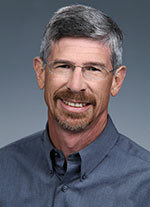 Steve Widergren contributes to new solutions for reliable operation of electric power systems. Common throughout his career is the application of information technology to power engineering problems including, simulation, control, and system integration. He is a principal engineer at Pacific Northwest National Laboratory where he directs electric power projects and supports the U.S. Department of Energy. He is a member of the Board of Directors and past Plenary Chair for the Smart Grid Interoperability Panel and was also the founding administrator for the GridWise® Architecture Council – both groups formed with the mission to enable interoperability of automated systems related to the electric system. Prior to joining the Laboratory, Mr. Widergren worked in industry for an electricity control center supplier, and electric utility service providers. In these positions, he engineered and managed energy management systems products for electric power operations and supported power system computer applications, including information modeling, SCADA systems, and power system reliability assessment tools. He is an active member of IEEE. Akyol B.A., J.N. Haack, G. Hernandez, S. Katipamula, and S.E. Widergren. 2015. "Transaction-Based Controls for Building-Grid Integration: VOLTTRON™." Electroindustry 20, no. 7:11-13. PNNL-SA-110777. Hardin D., E.G. Stephan, W. Wang, C.D. Corbin, and S.E. Widergren. 2015. Buildings Interoperability Landscape. PNNL-25124. Richland, WA: Pacific Northwest National Laboratory. Widergren S.E., K. Subbarao, J.C. Fuller, D.P. Chassin, A. Somani, M.C. Marinovici, and J.L. Hammerstrom. 2014. AEP Ohio gridSMART Demonstration Project Real-Time Pricing Demonstration Analysis. PNNL-23192. Richland, WA: Pacific Northwest National Laboratory. Widergren S.E., M.C. Marinovici, J.C. Fuller, K. Subbarao, D.P. Chassin, and A. Somani. 2014. "Customer Engagement in AEP gridSMART Residential Transactive System." In Transactive Energy Framework Workshop Proceedings, September 10-11, 2014 Folsom, California. Richland, Washington:GridWise Architecture Council. PNNL-SA-107064. Widergren S.E., R. Drummond, T. Giroti, D. Houseman, M. Knight, A. Levinson, and W. longcore, et al. 2011. Smart Grid Interoperability Maturity Model Beta Version. PNNL-20965. Richland, WA: Pacific Northwest National Laboratory. Widergren S.E. 2010. "Smart Grid: Transforming the Electric System." Southern Power System Technology 4, no. 1. PNNL-SA-71130. Ambrosio R., J. Bucciero, D. Cohen, R. Drummond, E. Gunther, S. Hamilton, and D. Hardin, et al. 2008. Grid-Interop 2007 Forum Proceedings, November 7-9, 2007, Albuquerque, New Mexico. Richland, Washington:Gridwise Architecture Council. PNNL-SA-58499. Widergren S.E., D. Hardin, R. Ambrosio, R. Drummond, E. Gunther, G. Gilchrist, and D. Cohen. 2007. "Interoperability Context-Setting Framework." In GWAC Interoperability Workshop, April 11-12, 2007. Dallas, Texas.. Richland, Washington:GridWise Architecture Council. PNNL-SA-53687. Hamilton S., E. Gunther, R. Drummond, and S.E. Widergren. 2006. "Interoperability - a Key Element for the Grid and DER of the Future." In PES TD 2005/2006, 927-931. New York, New Mexico:Institute of Electrical and Electronics Engineers. PNNL-SA-45379. Neumann S., J. Britton, A.N. Devos, and S.E. Widergren. 2006. "Use of the CIM Ontology." In Conference Proceedings of DistribuTech 2006, February 7-9, 2006 - Tampa, Florida, 16 pages. Tulsa, Oklahoma:PennWell Publishing. PNNL-SA-47384. Lu N., D.P. Chassin, and S.E. Widergren. 2005. "Modeling Uncertainties in Aggregated Thermostatically Controlled Loads Using a State Queueing Model." IEEE Transactions on Power Systems 20, no. 2:725-733. PNNL-SA-41229. Roop J.M., E.M. Fathelrahman, and S.E. Widergren. 2005. "Price Response Can Make the Grid Robust: An Agent-based Discussion." In IEEE Power Engineering Society General Meeting, San Francisco, June 12 - 16, 2005, 1100-1104. New York:IEEE Power Engineering Society. PNNL-SA-43872. Lu N., D.P. Chassin, and S.E. Widergren. 2004. "Simulating Price Responsive Distributed Resources." In 2004 Power Systems Conference & Exposition, October 10-13, 2004, New York City, New York, 6 pp. Piscataway, New Jersey:IEEE Power Engineering Society. PNNL-SA-41618. Widergren S.E., J.M. Roop, R.T. Guttromson, and Z. Huang. 2004. "Simulating the Dynamic Coupling of Market and Physical System Operations." In IEEE Power Engineering Society General Meeting, 2004, 1, 748-753. Piscataway, New Jersey:IEEE Power Engineering Society. PNNL-SA-40415. Chassin D.P., R.T. Guttromson, and S.E. Widergren. 2003. "Residential Energy Resource Models for Distribution Feeder Simulation." In Proceedings of IEEE Power Engineering Society General Meeting, July 2003, Toronto, Canada, 1, 108-113. New York, New York:I E E E. PNNL-SA-38072. Widergren S.E., R.T. Guttromson, and M.C. Baechler. 2003. EnergyWeb Screening Criteria Report. PNNL-14149. Richland, WA: Pacific Northwest National Laboratory.